Intuitive Innovation from MidWest Homes for Pets! 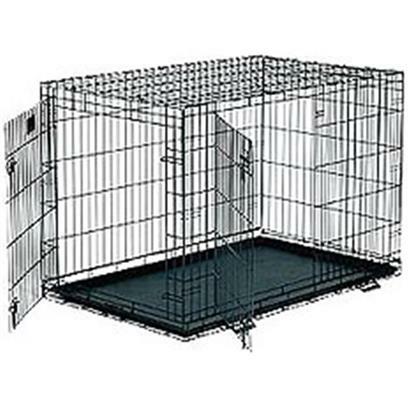 The LifeStages ACE Double Door Dog Crate gives your dog a safe and cozy place to retreat and serves as a valuable tool for housebreaking, puppy training, and travel. LifeStages ACE comes with the amenities of a traditional two-door wire crate with the added convenience and security of the MAXLock Door System.